This story was told live at One Longfellow Square in Portland. The theme from this event is "Turning Point." 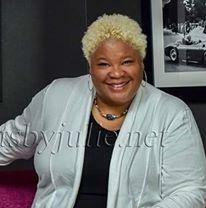 Dame Wilburn is a storyteller, Moth Mainstage host, and host of the her own podcast, Dame's Eclectic Brain. She has completed two residencies for storytellers: one at Serenbe outside of Atlanta, Georgia, and one with AIR Trez in Almont, Michigan. Dame is also a poet, painter, and prolific knitter. She lives in Detroit, Michigan with her partner, four chickens, a peg leg cat, and too many dogs.